Fry the onion with some salt and pepper. Add in the water and leave to boil.Add carrot, potatoes, broad beans, peas and chicken cubes. When the vegetables are ready, add in raw eggs not beaten. When cooked, remove the eggs.Add kusksu and when ready add goat's cheese. Put in the eggs and serve. 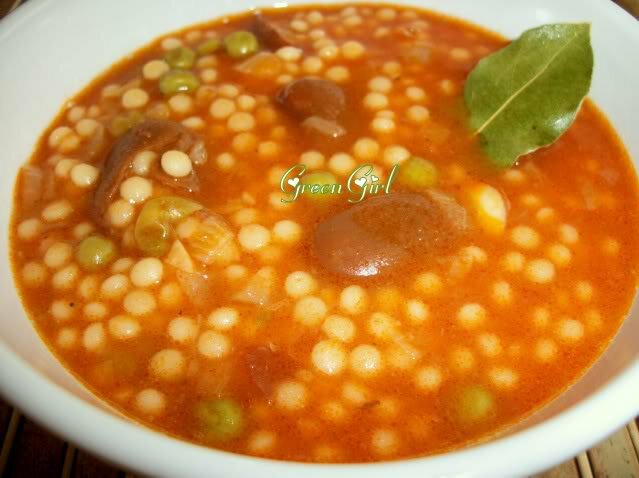 This entry was posted in By Course, First Course, Pasta, Recipes, Soups and tagged Bean Soup, food, Recipes, soup, traditional maltese recipes, vegetables. Bookmark the permalink. In the cooking method, you missed adding the tomato purée (kunsera). I add this just as the onions have cooked,stir it in for a couple of minutes to fry then add water.